If your school or local sports would like to raise money then you really can't go wrong with an indoor movie night. You can also use you Movie Night at school as a fund raiser. If you keep your ticket prices reasonable you will attract a bigger crowd. You can also set up a shop selling popcorn, soft drinks, sweets etc., another great way of raising funds for your school. The film will be screened in the school/community hall at 8pm sharp on Thursday March 14th at 8pm. All welcome! We are trying to raise money for some new chairs and a stage for our sports hall. Over the coming year our school/club will be staging a number of fund raising events and we do hope that you can come along to some of these events throughout the year. 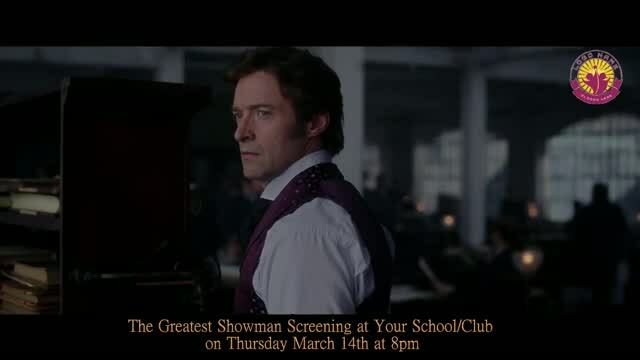 Our first fund raiser this year is a screening of the Greatest Showman on a Giant inflatable screen. Tickets are just priced at €5 online or €6 front of house. Keep an eye on our fund raising thermometer which will be updated on a daily basis.